I figured it was high time I featured something green on the blog and with summer upon us and lots of picnics and barbecues ahead of us this here recipe is one you need to have in your arsenal. People who don’t even like salads like this salad. Small children who normally run away from vegetables and that neighbor of yours who eats a steady diet of fast food and not much else like this salad. You get the point. 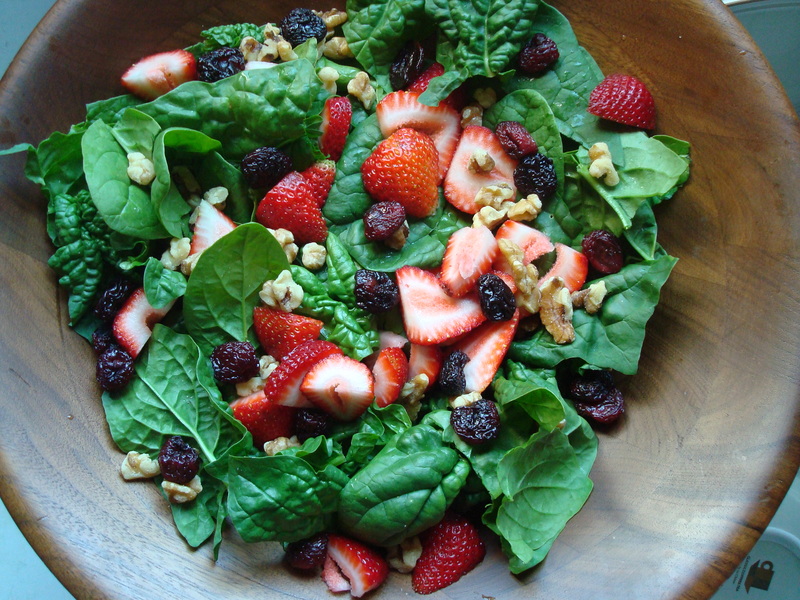 The ingredients are simple and few: spinach, strawberries, and dried cherries (or cranberries). I like to add pecans or walnuts for a little crunch, but it is just as good without them. And it’s even better with candied pecans or walnuts. Trust me on this one. A tangy and sweet poppy-seed dressing that is equally easy to make pairs nicely with it. Bring this one to your next party– it can be thrown together in no time and is a total crowd pleaser, I promise. 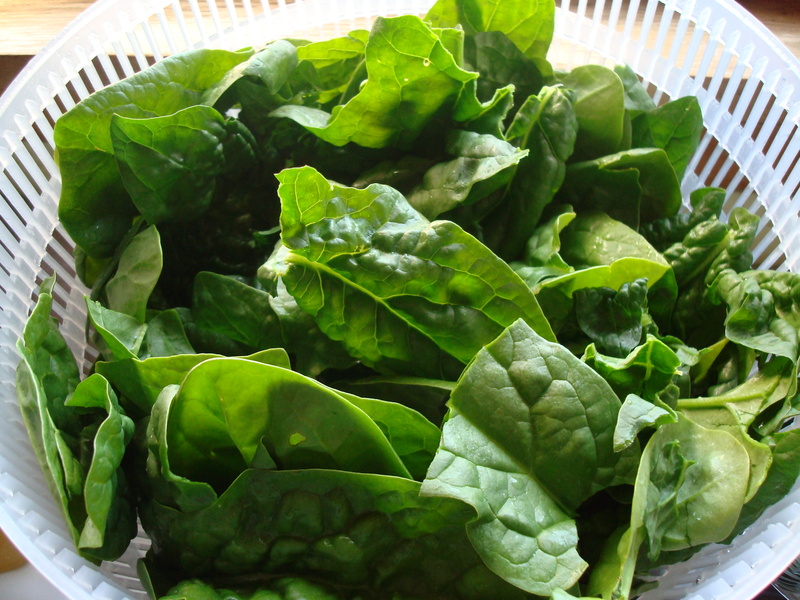 Place spinach in large salad bowl and top with strawberries, dried cherries or cranberries, and nuts. 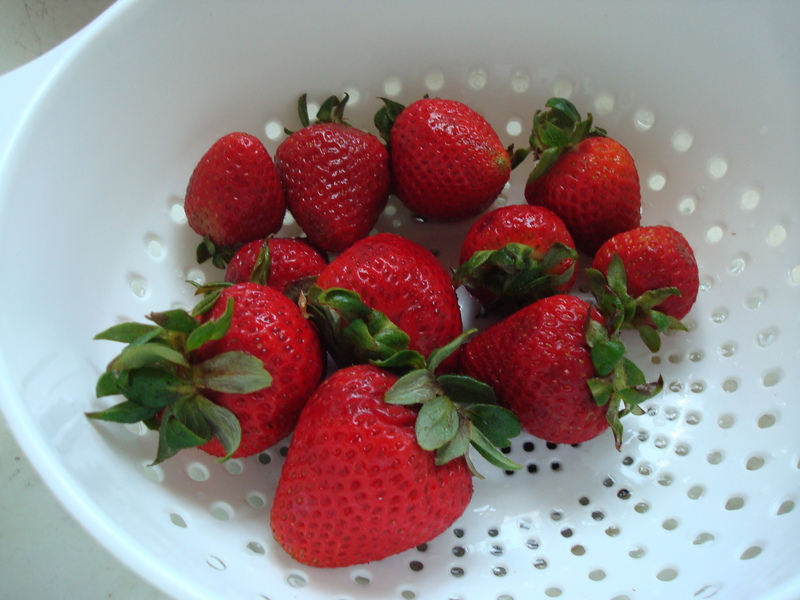 Add desired amount of poppy-seed dressing (note that recipe yields enough for several salads) and toss to coat. Totally. It’s equally as delicious with dried cranberries. I loveeee this salad!!!! This similar to the one your mom makes?? It is the salad my mom makes.